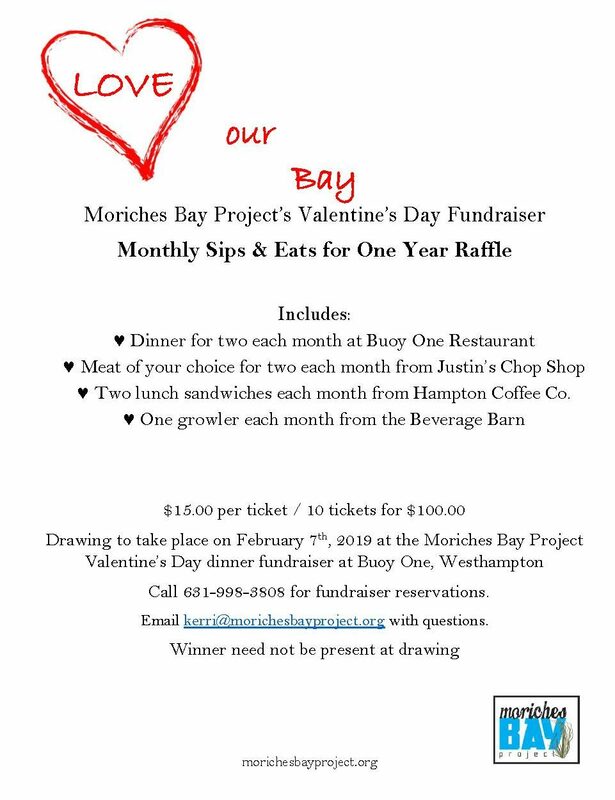 The Moriches Bay Project’s Annual Valentine’s Dinner will be on February 7th at Buoy One in WHB. Please call 631.998.3808 to make reservations! This year we are doing just ONE special raffle prize. A special thank you to all our friends at Buoy One, Justin’s Chop Shop, Hampton Coffee, and Circle M Beverage Barn. We are so fortunate to have such community-minded local businesses supporting this project and our town. Thank you!